Alaska is sitting on an enormous gold mine (and no, this is not a reference to the gold rush the state experienced in the late 19th century), and as a consequence the state has a responsibility to ensure the responsible and sustainable harvesting of its most ample natural resource: its abundant fisheries. No other state in the Union (or part of the world, for that matter) has the kind or volume of wild seafood stocks that Alaska has within its domain, and which the entire world has acquired a taste for. Of the most prized (and as a result costly) of the state’s marine treats, Alaskan crab may perhaps be the most in demand, for which reason it has been incredibly important to render the practices in harvesting crab sustainable. At the moment (and as has been the case for many years now), the federal and state governments collaborate on guaranteeing due habitat and stock protection for crab species in Alaska, as well as many other species of seafood. There have been very comprehensive plans put into place to foment and support scientific research projects on the subject, and certain areas of the open ocean have been designated as prohibited to use bottom gear or other, specific equipment known to cause significant damage to ecosystems in vulnerable areas. The result has made crab sustainable as a food source throughout the entire country, and beyond. That, of course, makes a lot of people very happy, as Alaskan crab products are some of the most coveted seafood items on the market. From fresh to frozen king crab, dungeness crab and snow crab products-among several other varieties of crustacean being caught in the Alaskan waters-supply is very normal and accessible, with many people on the opposite side of the continent and on other continents enjoying these treats on a regular basis. Simply put, the current safety measures have made the catching and processing of crab sustainable enough to continue for many more generations, indefinitely even; may that always be the case! If only more fisheries could follow this example, and put in place more control mechanisms-then the world would really be an abundant place. Alaska is home to an abundant variety of seafood, and offers some of the purest marine, freshwater, and upland habitats on the planet. From the clear crystal waters comes seafood that is delicious and healthy. Alaskan seafood is low in fat but big on flavor and Omega-3 oils. You can study thousands of pages of nutritional research. Or, simply observe the amazing health and longevity of people in countries where seafood is the most important part of their diet. Either way, Alaska seafood is as healthy as it is delicious. Are you are looking for a meal that is low in saturated fat, filled with nutrients and packed with good heart healthy Omega-3s oils? Then you should start with Alaska Seafood. 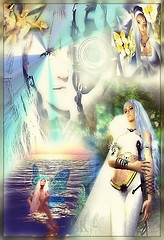 This entry was posted in Crystal Glitz and tagged language, social, web2.0, words, writing on July 23, 2009 by admin.